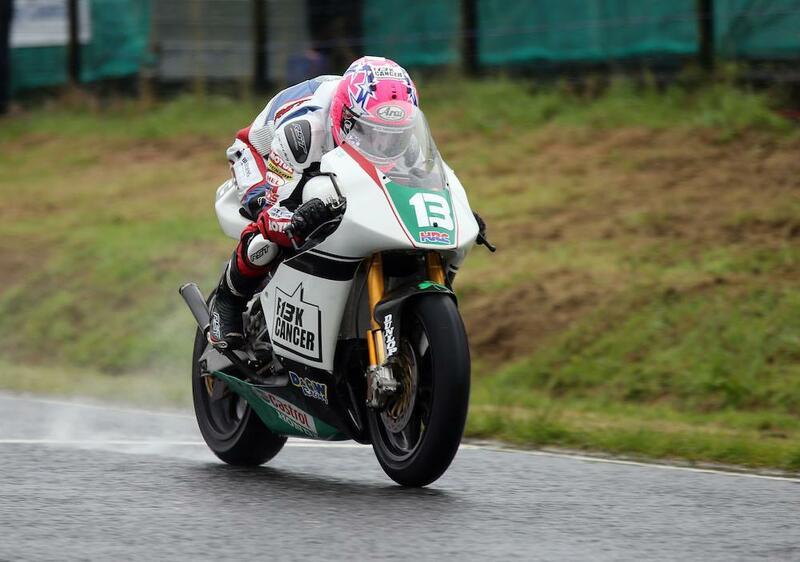 Lee Johnston will miss this week’s Ulster Grand Prix races after an off in the opening Lightweight practice session. The Ulsterman was riding his 250cc Honda in the Lightweight practice session in preparation for the new 250cc class at this year’s Classic TT, but tipped off at the hairpin in the wet opening session. He was taken to the Royal Victoria hospital, Belfast, where he was diagnosed with a broken collarbone. The injury will come as a blow to Johnston, who was looking to end the 2016 season on a high after his North West 200 and Isle of Man TT campaigns were blighted by injuries at a crash at Scarborough’s Oliver’s Mount earlier this year. The East Coast Construction squad are working on a replacement rider for both the BMW and Triumph machinery Johnston was set to ride, with an announcement being made in due course.